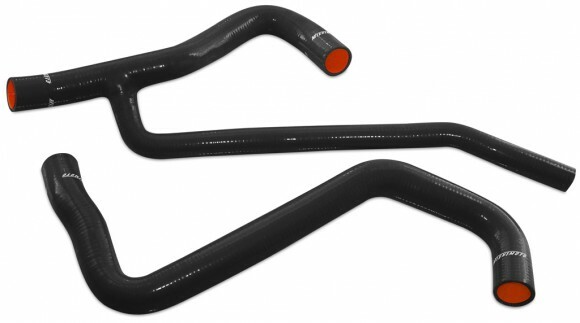 Mishimoto – New 2007-2010 Ford Mustang GT Silicone Hose Kit! Mishimoto has just released a silicone hose kit designed for the 2007-2010 Ford Mustang V8 GT. Mishimoto Ford Mustang Silicone Hoses are made of a dual layer that combines high grade silicone with heat-resistant embedded fibers to deliver improved pressure tolerance and effective heat reduction. Each hose is constructed of four hand-wrapped layers designed to withstand intense driving conditions. The Mishimoto Ford Mustang Silicone Hose Kit is engineered for a direct OEM replacement fit. The hoses are available in black, blue and red to customize the style of your engine bay as you upgrade performance. Mishimoto is proud to announce the release of three new silicone hose kits for the Dodge Neon SRT-4, Hyundai Genesis Coupe and Mazda RX-8. All Mishimoto silicone radiator hose kits are hand made using four layers of high grade silicone and heat-resistant embedded fibers. Mishimoto silicone hose kits are designed to withstand high heat and increased pressure. Every hose kit application is specifically engineered for a perfect OEM direct replacement fit. Mishimoto hose kits are offered in several colors, including black, red and blue to fit your style and personalize your engine bay.